This cute little Bebichhichi is dressed and ready to play. Features an adorable pink romper with a kitty patch and pacifier. Measures 5.91" tall. Ages 3 & up. This Monchhichi monkey toy is the perfect choice for collectors, kids and makes a great gift for Christmas, stocking stuffers, and Easter baskets. 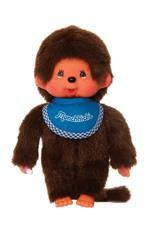 A fantastic toy choice for any Monchhichi or monkey fan! Monchichi refers to a Japanese animated series that had a one season run in the early 1980s in the US. The name can also refer to dolls with a monkeylike appearance that first inspired these series. 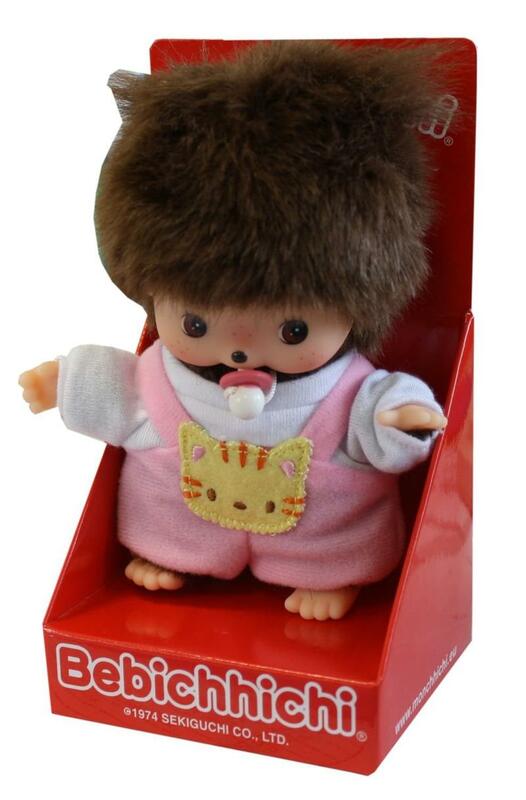 The original Monchichi dolls were designed by Koichi Sekiguchi in the early 1970s, and then went into mass production by the Tokyo-located Sekiguchi Corporation. This cute little Bebichhichi is dressed and ready to snuggle. Features an adorable blue romper with a puppy patch and pacifier. Measures 5.91" tall. Ages 3 & up. The fun and loveable Monchhichi monkey boy, all dressed up in his red bib. 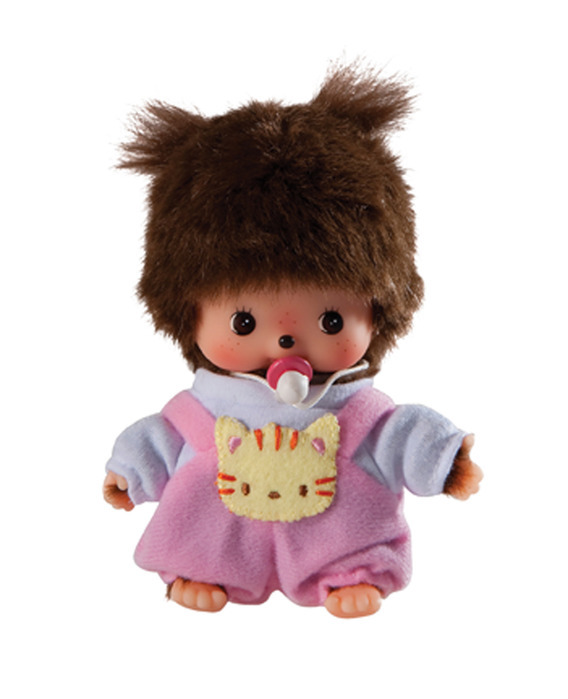 Soft and huggable, this Monchhichi boy is ready for hours of fun. 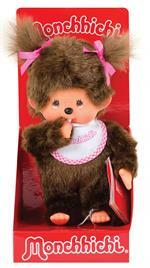 Monchhichi Monkey Girl with Pink Bib and Ribbons in her hair (fur). Our Monchhichi has been reintroduced from the 1980s to entertain the next generation of children. 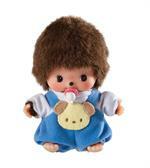 This little Monchhichi is ready to play! Features a blue bib and a pacifier. Comes in an open box. Measures 7.87" tall. Ages 3 & up.